Consumption of “pink ribbon” merchandise has in many ways come to replace meaningful political engagement with the root causes of cancer. 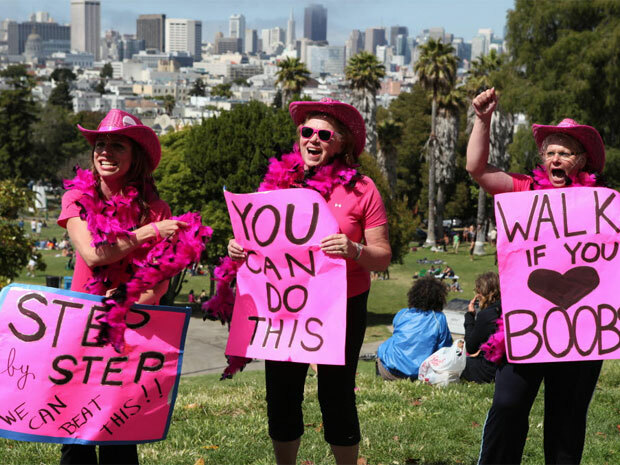 Feel-good celebration of survivorship in turn replaces righteous and much-needed politically targeted anger. In the face of rising public anger, in the late 1970s apolitical walkathons were eagerly seized upon by the corporate-orientated cancer community as a safe stand-in for militant marches. And so, at the very moment that the nation’s poor and working class were under a vicious and sustained attack by the government, it was deemed appropriate by the newly emergent non-profit cancer establishment that personal fitness, not economic poverty, contributed most to the cancer epidemic. There has of course been much determined resistance to the corporate hijacking of the Breast Cancer Movement, with the “most prominent” example (highlighted by King), albeit foundation-supported, being Breast Cancer Action (BCA). 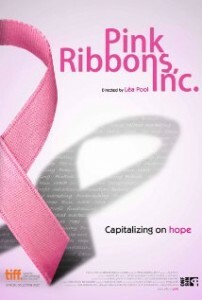 In the past BCA has had a special focus on the activities of the Avon, a corporation which “has increasingly deployed philanthropy not merely to further some social good, but as a technique for market penetration and retention.” So it is useful that BCA has just released a documentary based on King’s book titled Pink Ribbons, Inc (2012), whose script moves beyond the false hope offered by the hopelessly co-opted mainstream cancer movement. Narrowly focused single-issue organising — a long-standing favourite of the corporate foundation world — will not suffice for any citizen genuinely concerned about organised political change: especially if the root causes of breast cancer and women’s suffering are to be adequately addressed. Indeed, in the past “such a singular focus prevents activists, policy makers, the media, and the public at large from understanding questions of health and illness in the larger context from which they arise.” This need not and must not remain the case. King, Pink Ribbons, Inc., p.8, p.71. King, Pink Ribbons, Inc., p.52, p.98. At the time King was writing her book, one of major funders of Breast Cancer Action (in 2007) was the Richard and Rhoda Goldman Fund; while other notable corporate supporters include Microsoft and the Ford Foundation . King, Pink Ribbons, Inc., p.103, p.112. King, Pink Ribbons, Inc., p.120. “Lisa Duggan makes a similar point in her discussion of the reproductive freedom and women’s health movements” in her book The Twilight of Equality: Neoliberalism, Cultural Politics, and the Attack on Democracy (Beacon Press, 2003). « Previous: Special Report | Ireland: Abandon Ship!